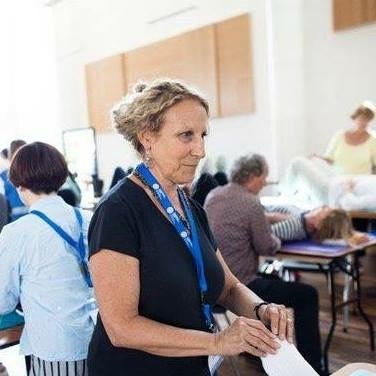 I began my relationship with Body Mapping in my early days as a college music student, little did I know how much of my future would be determined by simply registering for this course that came so highly recommended. Taking Action: How Does That Work in the Context of the Alexander Technique? In light of the recent hate crime, the mass killing in Orlando targeting the LGBTQ community on June 12, I thought about what it was to respond with meaningful, integrated action. What has this got to do with the Alexander Technique? Alexander Technique often emphasizes “non-doing” which can be mistaken for inaction. Non-doing is more about having the time and space to unpack a response to find what may be habitual and automatic, and gain access to a conscious, reasoned response. Working with this paradigm gives me a way to question the accuracy or validity of my feelings, both those I label as sensations, and those I label as emotions. I can also question the habits I have around using those feelings to guide my behavior and actions. I don’t want to respond to this latest tragedy comfortably or in my familiar and habitual way, I want to respond accurately and in measure with my examined belief systems. I want to communicate with the people who feel particularly at risk of being targeted because of who they love or how they look, a danger that may be even more in the forefront of their day to day lives, as a result of this recent atrocity. I want to offer my support. But for me, my kind words are empty if my actions and behavior don't have the potential to generate a safer world for them. I want to show empathy and connect with my friends and loved ones to show that I care about this issue and it breaks my heart that people are being murdered because of some distorted set of artificial values held by others. Those beliefs are what make some of us a threat to others of us. I saw a number of posts about taking action, as the more impactful response to this latest in a “much too frequent and much too long” string of mass killings. So I went to google to find out how to take action. I donated to the Brady Campaign, I signed a petition which I was informed was equivalent to writing a letter. I wrote to both of my state senators to say I am a constituent who supports strict gun control, and when considering the second amendment as written: "A well-regulated militia being necessary to the security of a free state, the right of the people to keep and bear arms shall not be infringed” I support limiting access to and the use of guns to the confines of a well-regulated militia. So, yes, I have been crying since Sunday, June 12, and looking at my transparent biases and bigotry to take responsibility for the ways I may have inadvertently contributed to the climate in our country by being ignorant and unable to see what I may be a party to. I see that my inaction contributes to the status quo. By the way, I was raised around activists, growing up in the late 60’s and early 70’s, and I take a lot for granted because so many took action during that time in history. What has this got to do with the Alexander Technique? I am saying “no" to my comfortable habit to remain silent while feeling hopeless. I often keep silent out of my desire to appear non-judgemental and neutral so my clients won’t feel judged in my hands. Silence can be useful in some situations, but silence can also be a way to stay comfortable and ineffective. So, instead, I am taking action, and being non-habitual by using my literal and literary voice to express my fondest wishes and hopes - that we take the actions needed so we live in a world that values all human life and celebrates creativity and diversity in how we each express ourselves. I wish to live in a world where no one is in danger from another, because of what they have or don’t have, for what they believe or don’t believe. And that we don’t use our personal beliefs to injure each other. I have the privilege of being the movement coach for Steady Buckets, a youth basketball league in New York City that serves kids ages 6-18. It’s a free program that offers skill building classes as well as league play. Children from all walks of life come to this program, from Manhattan’s elite private schools to the projects in the Bronx. I owe this opportunity to the visionary coach, Macky Bergman, who saw that the Alexander Technique would reinforce his coaching, but from a completely different angle. About two years ago, Macky and I sat down for coffee, and I explained to him why I wanted to work with his players, and how the Alexander Technique would help them. Two hours later, after popping up and down to demonstrate for each other monkey, defensive stance, and proper shooting form, we were both brimming with excitement. Macky is a tough-talking coach, but he’s open minded and interested in alternative techniques to help his players focus and be present. He brought in a Tai Chi teacher one year. Macky intuitively understood inhibition: in order to get the ball through the hoop, you need to let go of the desire to get the ball through the hoop. Additionally, he was frustrated that he couldn’t get the kids to shoot with a straight spine or stand upright when defending. As a dancer and an Alexander teacher, it was pretty clear to me that the kids needed to use their hip joints. It was a perfect marriage: For Macky, what could be better than someone who would enable his players to improve their form? For me, what could be better than an unlimited supply of kids to whom I could teach the Alexander technique and see proof positive that the AT can change lives and games? After working with Steady Buckets for two years, I’ve made many observations. Although the Alexander Principles are always the same, the bodies that come to me vary wildly. Some kids are slack; some kids are tense; some kids try too hard; some don’t try at all. I usually teach one on one, and give about ten kids, a 5-10 minute lesson each. Certain kids absorb the technique like a sponge and instantly see what it can do for them. They start making their shots and finding themselves “in the zone.” “I feel loose. I feel light. I couldn’t miss.” Kids who are in pain often see the value immediately. Some kids don’t see the value, and I let them go. It’s not for everyone. The principles are the same, but the challenge each kid faces is unique. We do a lot of monkey because it is the base for shooting, dribbling, defending, everything actually. I incorporate a lot of Dart practices, like spirals and curves, and the innate springiness of the body. Depending upon the age of the kid, I use analogies like a river running up through the body, or that the floor bounces us up like a ball from our feet through the rest of the body. I show them that their arms can move independently of their torsos by folding at the gleno-humoral joint, and this starts to help them to see that when they shoot, their torsos can remain full and upright even as their arms move. For someone who doesn’t play any sports, I have an impressive theoretical knowledge of shooting form. My goal is to consistently hit foul shots, and be one of those rare experts who gained mastery from a completely different angle. But even with the Alexander Technique, it takes a tremendous amount of practice, and I haven’t devoted nearly enough time. I came into this thinking that shooting would be the most obvious application of the Alexander Technique because it is a pure Alexander situation: it involves monkey and inhibition. But now I see that shooting is the most emotionally charged, habitually ingrained skill they learn, and very difficult to change. Proper shooting form involves sending the ball up in the air in a large arc by holding the body vertical, straightening the arms up over the head and slightly forward, and using the power of the jump to propel the ball. See Macky’s lines of force, Exhibit A: up through the whole body, forward through the hands and arms. For the younger kids, it is counterintuitive to do this. They want to fling the ball forward with their elbows counteracted by throwing their upper backs backward because they don’t believe that straightening the arms coupled with a jump up will be enough. See my version of this, Exhibit B. Older kids are deeply attached to whatever form of shooting has been working for them, even if it hasn’t been working well. When they change their technique, they will probably lower their shooting percentage before they raise it. And until the kids are really mature and philosophical about basketball, they don’t shoot a high enough arc because they’re aiming for the basket as opposed to aiming for the center of the hoop above the basket. Teaching someone to prioritize the means whereby in the act of shooting a basket is like asking a hungry person to look at their food for ten minutes before beginning to eat. It takes A LOT of inhibition. They need to truly let go of the goal of making the basket. Officially, I am the movement coach; a dancer who came to teach the players better posture and better movement patterns. Then I thought perhaps I would call myself the biomechanics coach because it sounded substantial and technical. I’ve come to realize, however, that the main thing I have to offer them is inhibition. The other coaches can teach them form and biomechanics (although they don’t usually understand how to access the hip joints), but nobody else can teach inhibition. I am their Zen coach. I teach them to let the ball shoot itself, to let the game play itself. And as much as they need to learn how to inhibit in order to change their form, I need to inhibit my desire to see them improve. As with any other activity, change can happen both instantaneously and glacially. They fold into a smooth, balanced monkey, and suddenly they’re moving around their opponents a beat ahead of everyone else. When it comes to shooting, they slowly start to trust a different form. One of my favorite students who falls deeply into the category of “tense and trying too hard” improved dramatically when I said, “remember that you shoot better when you’re relaxed.” That phrase allowed him to inhibit. The Steady Buckets’ motto is “Outwork ‘Em.” The pursuit of excellence requires limitless hours of practice and dedication, and there is no way around that, but to be truly excellent, you must be able to let go of the thing you desire while you work towards it. What a balancing act! In a more general way, is has been wonderful to share the ability to change. The Alexander Technique shows us that change is possible, and there is a path towards that change. I imagine the kids I work with absorb the idea that they can choose their actions. If they can go from slumping to standing up tall and balanced in less then a minute, maybe some of them will decide to study for a test instead of not study, go to college instead of not going. Maybe some slumped over little kid who considers himself un-athletic will feel “the zone” and decide that he can be good at sports. The Alexander Technique gives us choice and a means whereby! by Brooke Lieb Linda Minarik is a pianist, dancer, singer, and fitness professional. Her new book is entitled Stretching with Ease. Linda has been familiar with the Alexander Technique for nearly 40 years. 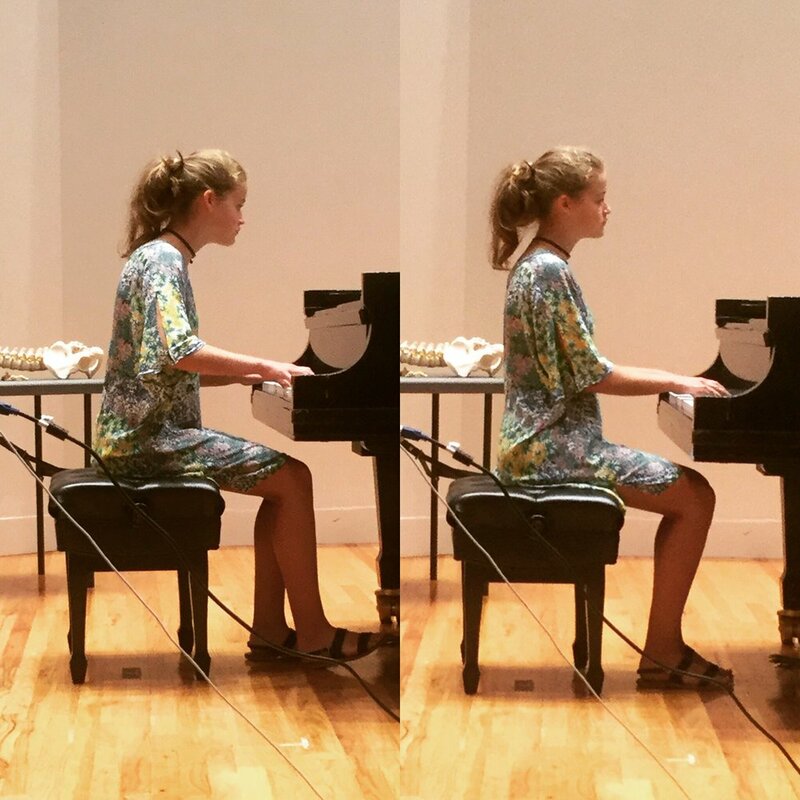 Her first private lessons were with ACAT alumna Linda Babits in connection with practicing piano with ease. Linda’s life-long love of movement inspired her to train in ballet, and to become a certified group fitness instructor, including teaching qualifications in Gyrokinesis® and the MELT Method®. Tell us about the inspiration for your book Stretching With Ease. For a number of years I have been teaching the art of flexibility at a corporate gym facility called Equitable Athletic & Swim Club in mid-town Manhattan. The membership is largely made up of left-brainy people with corporate positions, often high in their chosen professions. Attorneys, doctors, financial wizards, administrative assistants to corporate CEOs—highly articulate people, capable of understanding subtle concepts. They come to class to learn about their bodies; yet fitness is not their field. I set out to create a worthwhile stretching experience for this fitness audience: teaching them stretching basics while respecting their intelligence. Over the years, I formulated a teaching language that seemed to work. I started explaining as much as I could about why pursuing flexibility might be helpful in their lives, how to allow their bodies to release gently into a stretch, how to align their positions correctly to avoid stressing other body areas, and—a crucial point—exactly where they should be feeling the muscular pull. Stretching as I teach it emphasizes giving the body adequate time to settle into a position—without rushing into or out of it. Most important is partnering mind with body to increase calmness and minimize fear. Recruit your mind to address your body’s tight spots. The more I taught, the clearer my instructions became, and my classes began to grow in size. My goal: to clear up the mist of incomprehensibility around flexibility. I wanted to share all the hard-won knowledge I had unearthed over more than two decades of searching. Everyone has his own journey, but I wanted to help people shorten their stretching one. How can stretching contribute to health and well-being, and what are some of the conditions or fitness goals that stretching can help manage or improve? You include the Alexander Technique in the “Further Resources” section of your book. When did you first encounter the Alexander Technique, and how has it contributed to your own performing and teaching? My experience with the Alexander Technique began back in the’70s, when I was beginning to seek better alignment for my body in general, and also physical ease over the many hours I was practicing piano daily for my degree recitals. My study of the Technique long predates my involvement in fitness teaching. Along with other body-work methods, I am sure it was instrumental in making it really easy to start an athletic fitness teaching career in my ‘40s. After taking an introductory group class at a long-forgotten (by me!) studio in the Lincoln Center area, Linda Babits became my first private teacher. A pianist herself, she spent many hours helping me apply the Technique for a pianist’s unique needs. After training with Linda, I also worked extensively with Caren Bayer and Jane Kosminsky. Linda currently teaches group fitness at the New York Health & Racquet Clubs and the Equitable Athletic and Swim Club, both in Manhattan. She pursues classical dance and bodybuilding, and has recently branched out into the study of rhythmic gymnastics, working privately with a former member of the Russian team. Linda is a classically trained pianist, operatic mezzo soprano, and aromatherapist. She lives in New York City. Contact her and/or purchase her book through her website at www.lindasarts.com. As an Alexander Technique teacher in training, we are introduced to what is called a ‘lie down’. With the right number of books placed under our heads so that our heads are in right relationship with our backs as if we are standing, and our knees are bent to the ceiling and our feet on the table. This horizontal position put me in visual contact with the external pipes running longitudinally and laterally six or so inches from the ceiling at ACAT. As the teacher directed my thinking to allowing my spine to lengthen and my back to widen, I was seeing these criss crossing symbols above me. At the beginning of my first term I wished, along with my ‘neck to be free’, to have something more stimulating to look at, but soon I realized the simplicity and beauty of the pipes, the functional details of their construction and the shadows they cast. So in the spirit of awareness, inhibition and direction I created these replicas of various perspectives of the ceiling pipes at ACAT. I decided to photograph them with my iphone and paint them in charcoal and water color, to celebrate my overhead surroundings. Taking time to have a 5 or 10 minute ‘lie down’, we give ourself the gift of deepening our awareness of ourselves and seeing what ease can follow with that practice. (see Witold Fitz-Simon’s post on how to do Constructive Rest) Next time you do that for yourself, notice the ceiling, see what is above you and if you can let go more into what is underneath you, and you might find when you return to vertical, you most likely are more up than when you went down!